The French Association Argus published the winners Argus Trophy 2010, a competition highly appreciated in France because the jury is is composed of journalists, experts and market analysts or specialists in the automotive industry. The awards are granted on different categories (city, Compact, Family models, Trendy Models and Premium models). Dacia Duster (the 1.5 dCi Laureate 4×2 version) managed to win the award for family cars, surpassing the Opel Meriva 1.3 CDTI and the Kia Sportage 2.0 CRDi 4×2. "The Dacia was irresistible in this category. 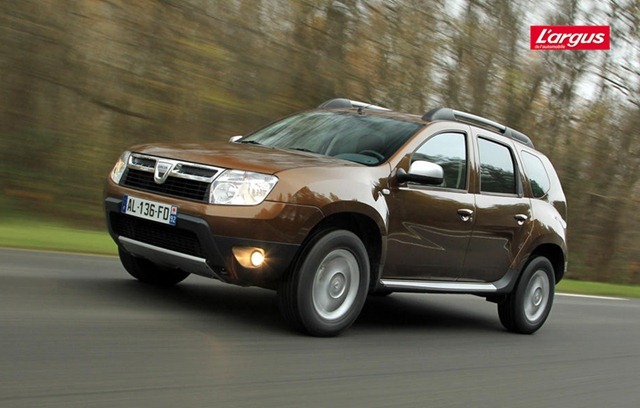 Aided by an unbeatable price, the Duster comes with the best cost per mile. Even if the the Romanian SUV performance is not above the the comfort level of Meriva, or not is as practical as Sportage, the Duster has the merit of bringing before us a forgotten concept. This SUV is a simple, robust and functional" said the press release accompanying the results of the competition. The other categories in which competed models launched during the year in France were awarded the Suzuki Swift 1.3 GLX five-door DDiS (Model City), Alfa Romeo Giulietta 1.6 JTDM Distinctive (compact), Citroen DS3 HDI 90 (Trendy models) and BMW 520d (Premium models). The criteria considered by the jury for each of the five scoring categories targeted the purchase price, the operating costs per kilometer, the residual value, the consumption and the benefits from use (production quality, driving pleasure and the whole idea of the car).